The dollar index, which gauges the greenback's strength against a basket of six currencies, rose 0.7 per cent to 95.57. Forex traders said firming crude oil prices and heavy selling in domestic equities weighed on rupee. 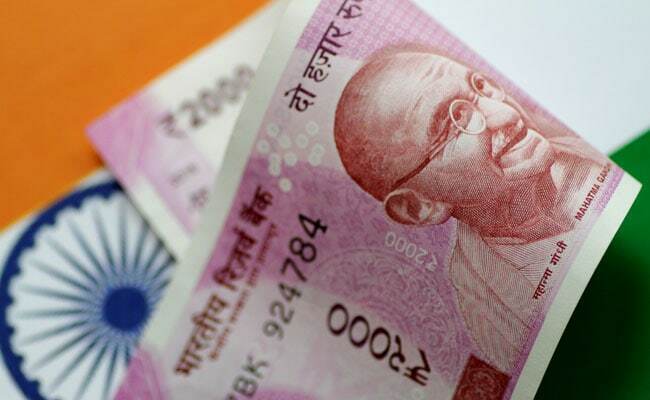 The rupee appreciated by 14 paise on Friday to close at 71.31 against the dollar on persistent foreign fund inflows even as the greenback strengthened overseas amid fresh concerns over global growth. This is the fourth successive session of gain for the domestic currency, during which it has climbed 49 paise. At the Interbank Foreign Exchange, the rupee opened stronger at 71.37 a dollar. The local unit moved in a range of 71.44 to 71.03, before finally ending at 71.31, showing a gain of 14 paise. The rupee Thursday appreciated by 11 paise to close at 71.45 against the dollar. On a weekly-basis, however, the domestic currency registered a loss of 6 paise. "Reduction in interest rates and relaxation of foreign investment limits bodes well for the rupee in expectation of overseas inflows. "So far this month, overseas investors bought USD 297.10 million in equity while they sold worth $304.70 million in debt market," said V K Sharma, Head - PCG and Capital Markets Strategy at HDFC Securities. Meanwhile, the dollar index, which gauges the greenback's strength against a basket of six currencies, rose 0.7 per cent to 95.57. Brent crude, the global oil benchmark, was trading at $61.78 per barrel, higher by 0.24 per cent. Indian equity markets closed sharply lower Friday, led by a selloff in auto and metal stocks. The BSE Sensex cracked 424.61 points, or 1.15 per cent, to finish at 36,546.48, while the NSE Nifty slumped 125.80 points, or 1.14 per cent to 10,943.60. Meanwhile, foreign portfolio investors (FPIs) bought shares worth a net Rs 843.73 crore, and domestic institutional investors (DIIs) sold shares to the tune of Rs 960.04 crore Friday, provisional data showed.